Came across this fellow here in Delhi yesterday. He (or she) was eating a paratha. 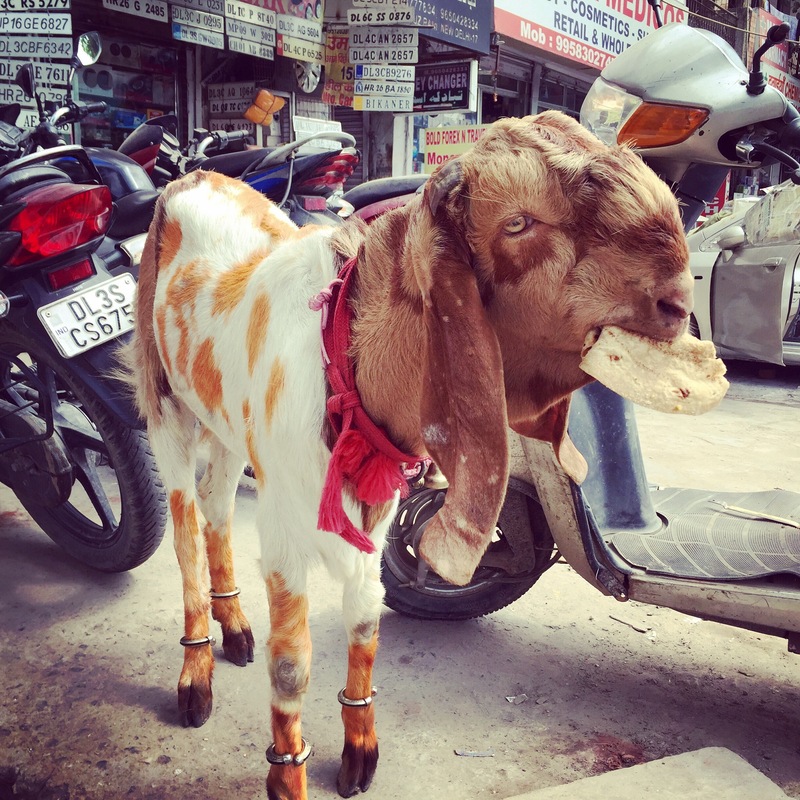 Given his/her interesting colouring, neck adornment, and hoof bling, I was wondering if it might be an auspicious goat, kept and fed by people nearby in the neighborhood.